Bigger. Bolder. Better. Could this be BMW’s new approach to restyling their models mid-cycle? Or maybe it’s just a one-time thing to help the 7-Series keep up with the rest of the range and its rivals in the super luxury sedan segment? Either way, it’s a massive departure from what we’ve been accustomed to. 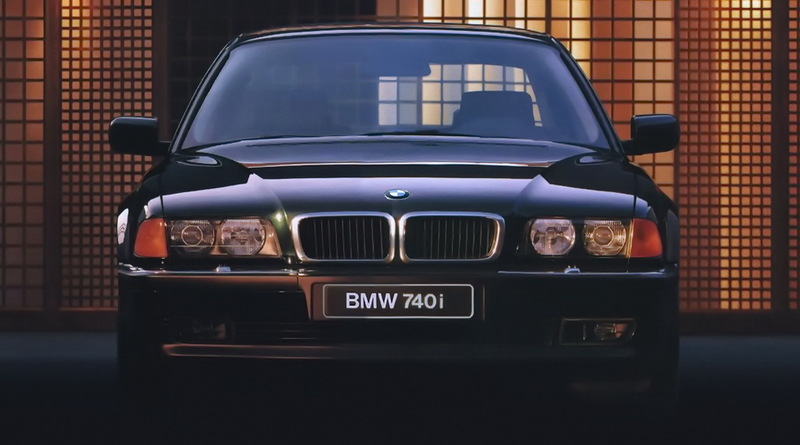 In fact, let’s go back to the very beginning and check out every single BMW 7-Series front end, starting with the first-generation E23 model of the late 70s and early 80s, up until the G11, which came out a little over three years ago. The E23 with its trademark angled fascia that resembled a shark nose profile came up as a replacement to the old E3 sedans. 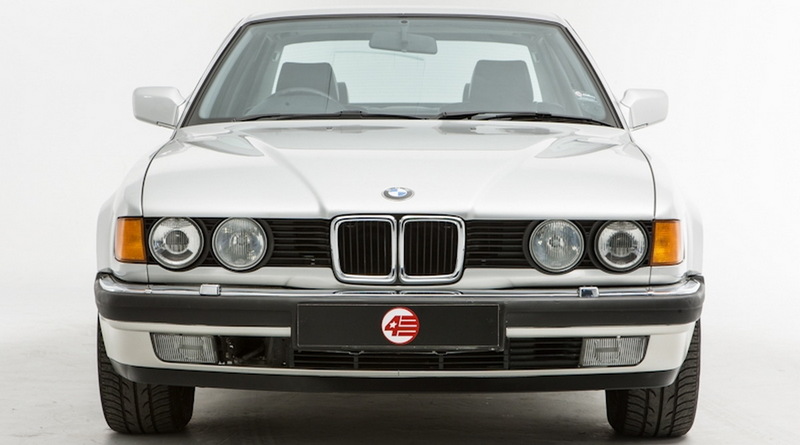 It introduced many BMW-first features, such as the on-board computer, service interval indicator, climate control and many others. In fact, it was actually the first BMW to come with an anti-lock braking system (ABS) and an optional driver’s airbag for 1985MY cars and newer. 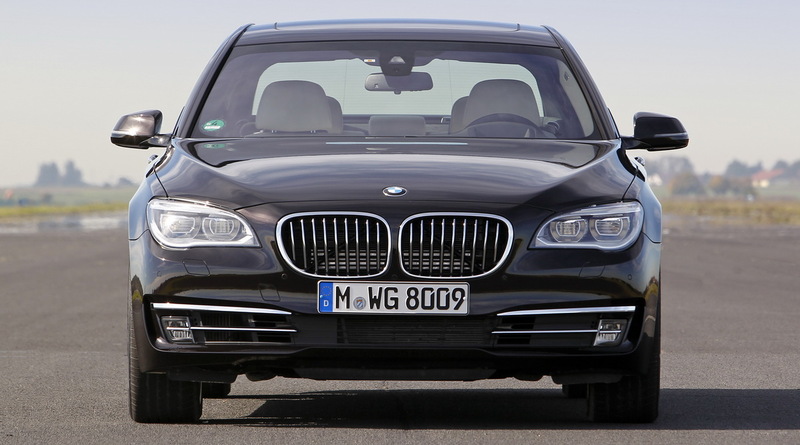 When it was finally time to give it a facelift, the Bavarian automaker restyled the bumper and increased the width of the kidney grille. This also meant more plastic bars contained within the grille, as well as more horizontal ones across the front fascia. It was a design philosophy that would also be applied to its successor. 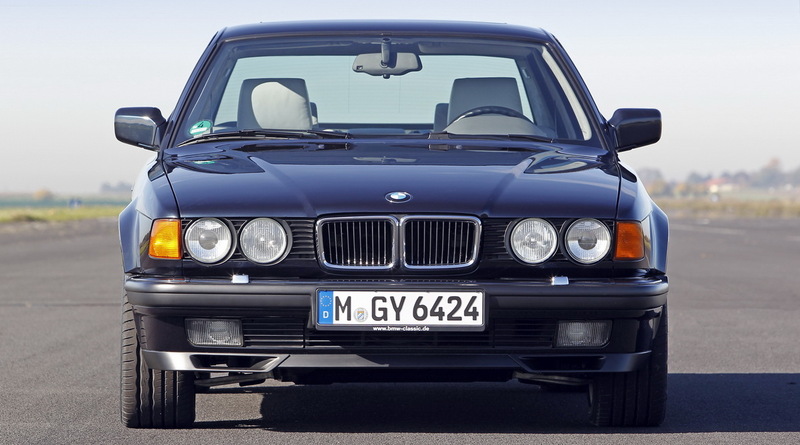 Compared to the E23, the newer E32 7-Series was a whole different animal, in the best way possible. In many ways, it also marked the beginning of the whole “more tech, more weight” movement, although safety and convenience features do generally outweigh the fun factor when it comes to luxury saloons. Here are just a few of its features: Electronic Damper Control, double glazing, Xenon headlights, traction control, dual-zone climate control, integrated telephone and a wine cooler. 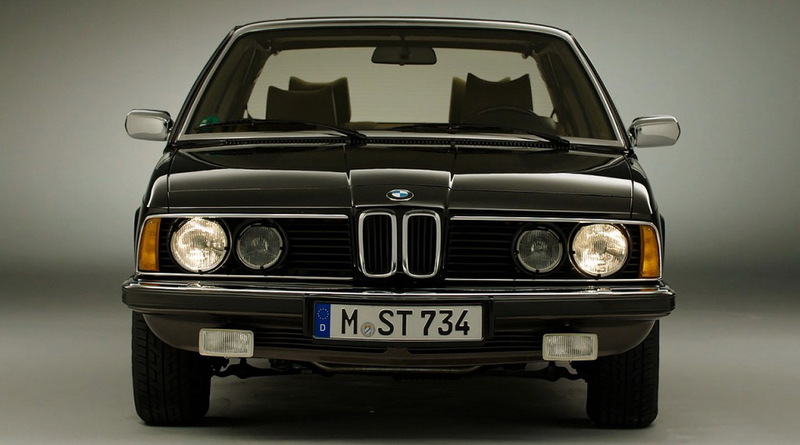 It was also the first BMW to be offered with a long-wheelbase option and a V12 engine. As for the facelift, as previously stated, the same recipe was applied from the old E23, with a wider kidney grille design, sportier-looking front bumper and a new hood. There were of course other changes too, but we’ll only be focusing on the front fascia here. Regarded by many as the best-looking BMW 7-Series ever, the E38 introduced many industry-first features, such as curtain airbags. 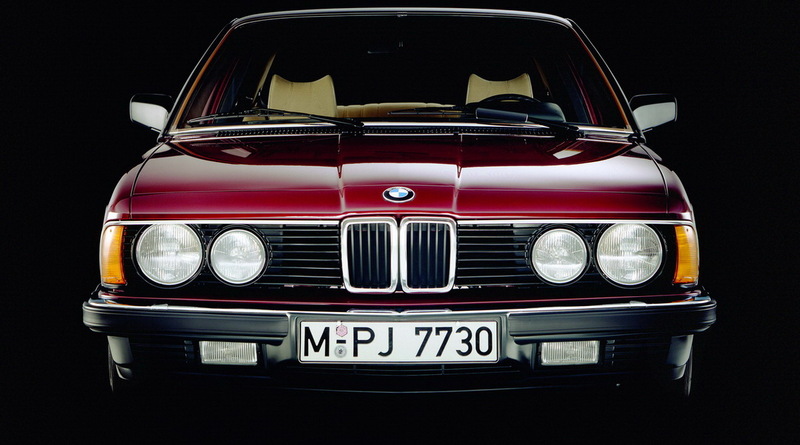 It was also the first European saloon to come with satellite navigation, the first-ever BMW with a built-in TV and the first 7-Series with a diesel engine. Facelifted (LCI) models featured mostly mechanical improvements, but revised headlights were introduced, as well as more vertical bars within the kidney grille (12 instead of 10). 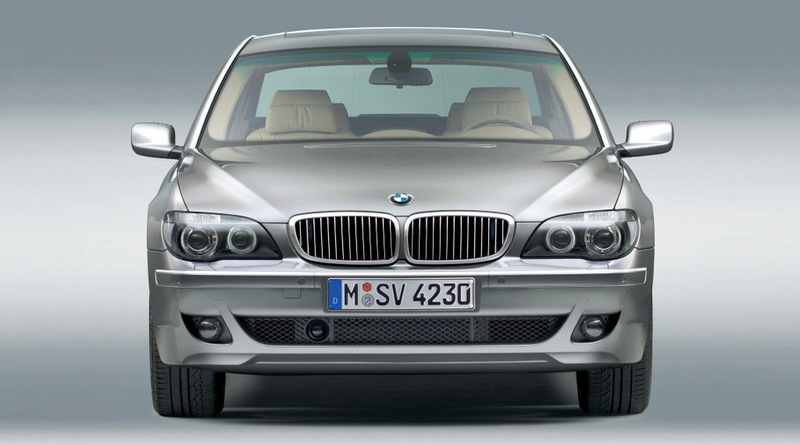 The headlights no longer featured a perfectly flat design for the bottom part, and instead curved downwards along the cluster, a look which would also make its way to its successor, probably the most controversial BMW ever, the E65. 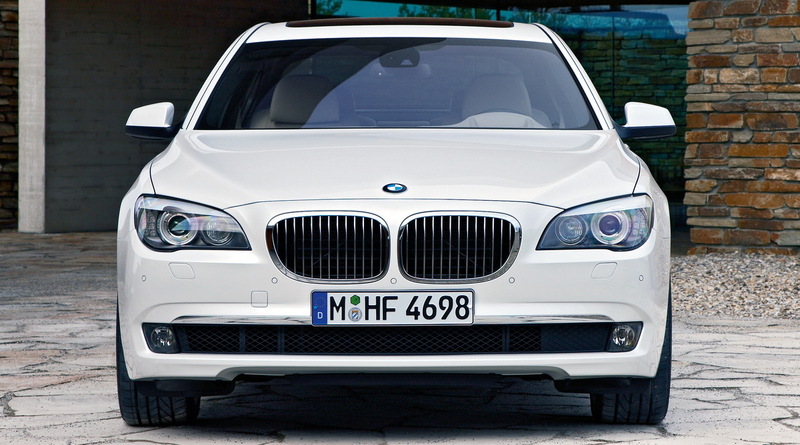 To say that the E65’s biggest problem was its headlight design would probably be a major understatement. In fact, we’re not even going to get into it, as we’re sure that you’re already familiar with everything that was aesthetically “wrong” with it. 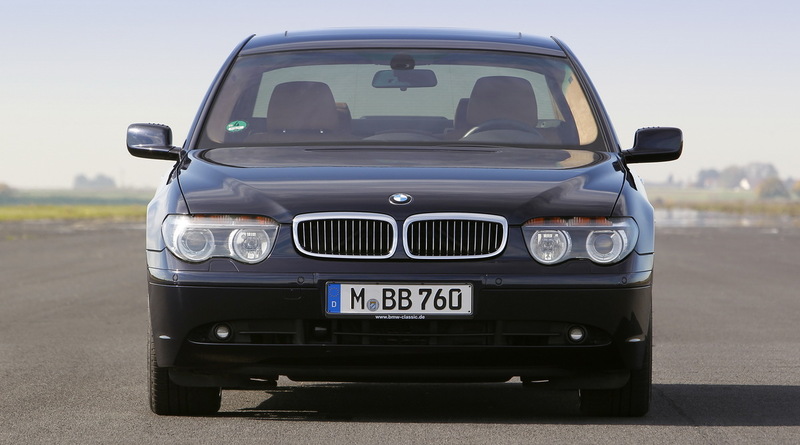 BMW did of course try to fix things (as much as they could) with the LCI model, which gained sharper headlights, a new hood, larger kidney grille, new front spoiler and yes, a redesigned rear end, for well-documented reasons. Technically speaking, though, the E65 was a very competent luxury car, boasting a 6-speed automatic gearbox, electronic smart key feature, night vision, the iDrive system and more. Despite the fact that the E65 was longer, wider, taller and had a larger wheelbase than the E38, it hardly weighed any more than the latter. The F01 was widely regarded as a return to form for BMW, ditching its predecessor’s controversial design in favor of a more conservative, yet still modern, exterior. It was BMW’s first ever car with rear-wheel steering, an eight-speed automatic gearbox, a pedestrian recognition feature for the night vision system, blind spot monitoring, radar cruise control and a massage function for the rear seats. It was also the first BMW model to be available with a hybrid powertrain (ActiveHybrid 7). The German automaker waited until 2012 in order to upgrade its appearance and introduce a wide range of new technologies, like the full-LED headlights, upgraded LCD dashboard graphics, collision avoidance and more. In terms of styling, light changes were made to the kidney grille and the front spoiler. Also, for anyone who hasn’t noticed until now: the shape of the headlights on the F01 is almost identical to the one on the facelifted E65. Looking at the latest-generation G11, it’s pretty obvious what BMW designers intended for it. It looks imposing and modern, but whether its overall shape is as well-balanced as the F01’s, we’ll leave that up to you to decide. What we will say about the G11 is that it’s lighter than the F01 and that its kidney grille comes with shutters that stay open only when increased air flow is needed. It also boasts standard self-leveling air suspension, gesture control plus as much driver assistance systems as BMW could fit into it – you probably already know all about its self-parking system, semi-autonomous tech and all that. That is one seriously gigantic grille! 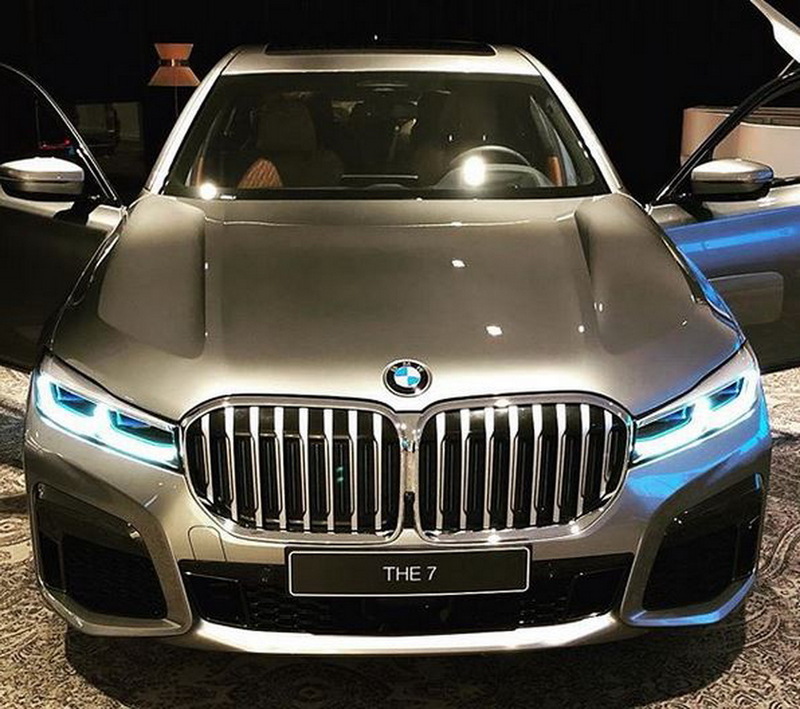 These past few days, a whole bunch of images have began to leak online regarding the restyled sixth-gen 7-Series, and as you can see, BMW applied what is arguably the most extensive facelift ever given to a 7-Series model. 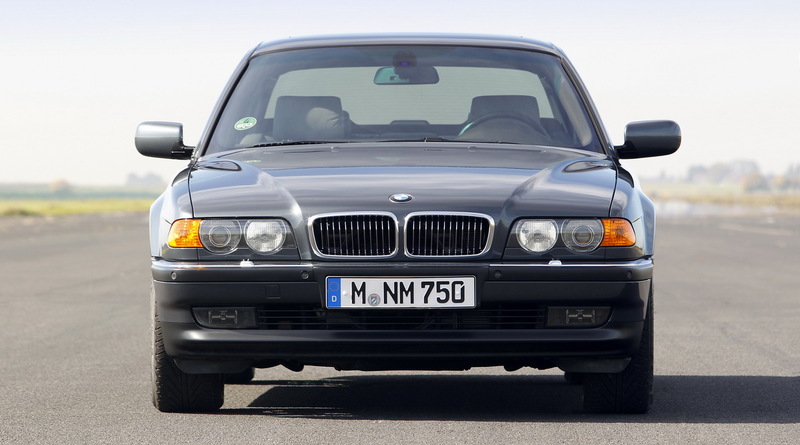 The last time they changed the front end of their flagship saloon this much (or at least considerably), was with the E65, and the last time the kidney grille grew in a way that’s really hard to ignore, was when the facelifeted E32 came out. 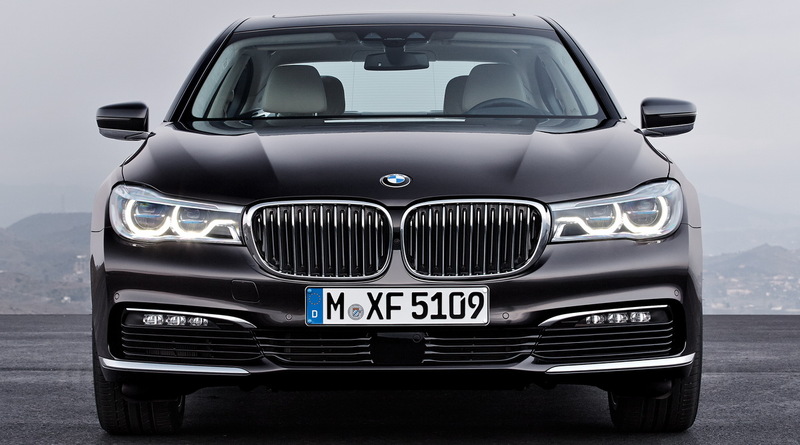 The grille size of the G11 was already BMW’s largest ever, and now, the LCI model is about to take after the X7. Since we’ve also caught a glimpse of the rear end design, we know that it too will feature a few changes, such as a new bumper and revised taillights. There you have it. By going through all these different designs across multiple decades, we can honestly say that BMW is about to make a pretty massive design leap with their current 7-Series, for better or worse. And before you say that Mercedes and Audi have changed their grille designs plenty of times over the years, keep in mind that the kidney grille has always had a more unconventional design compared to what Mercedes and Audi were doing, as you’re basically dealing with two distinct shapes, instead of one. From elegance to arrogance.... absolutely! It's awful...both the massive grille and the inelegant bonnet cutlines. One likely reason for these increasing abominations is that the designers likely don't give a d*** about the travesty, but simply have to do something ''wow, look at me" to remotely justify their salary, and job, and the chiefs are only looking at the bottom line in trying to lure yet another round of big spenders, especially in a market climate where big sedans aren't selling well at all. I just bought a pre-owned BMW 128i and love everything about it, including the exterior design....but this gimmicky 7 series development, which seems to be increasingly afflicting the entire range, is pathetic on multiple levels...and that doesn't even include the obscene virtual digital screen gimmicks that are turning cars into moronic rolling toys for those with way too much cash, and way too little grace. It until the year 2000 when it use to be a great car. After that they started to make it as a computer on wheels. They took its soul from it. Same goes to the Benz and the rest tbh. Once again I stand alone. I like it. It show that BMW is finally finding the courage to come out with some in-your-face designs. I can't help but think that Lexus has something to do with that. 'Modicum' is my middle name! Nah, you're not alone. I like it, too. It's not like large, imposing grilles are anything new. Hell, look at the Model T — it's all grille. I really don't get it why Audi and Merc driver are always saying BMW are not they way they used to be. A bmw is an aggressive macho drivers machine, it is designed jeans and not a three price suit. There is no need for another mercedes but there is need to perpetuate BMW because nobody make cars like them. No real bmw guy will complain about the look of this thing. This is how BMW should have been making the 7. 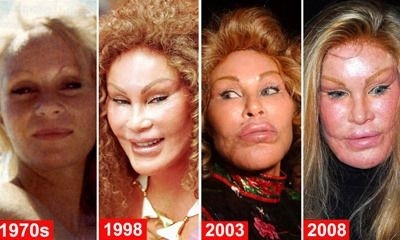 It is evolved now, no longer a shark, it is a wolf and the kidney grille is both its fangs and nose. I never liked the kidney grill of the older BMWs or Pontiacs. This is an improvement. I just bought my first German luxury car, an Audi S5. I made that choice because I feel that BMWs look boring in general (unless you pay a whole lot of money for massive upgrades) and even the base Audis look somewhat aggressive. I'm sorry fanboys, but I just don't know how you can look at those classic grilles and then at this monstrosity and think it's an improvement. I have a soft spot for the 3rd Generation E38 (1994-2001). You can drive one of those today and not seem like a huge douche.